Scented with essential oils including Frankincense, Myrrh, Cedarwood and Bergamot. Sweetly balsamic, an unusual and lovely scent. The scent of this soap is quite strong. This soap produces a prolific, stable, lubricating and cushioning lather and is gentle and non drying. A little goes a long way. 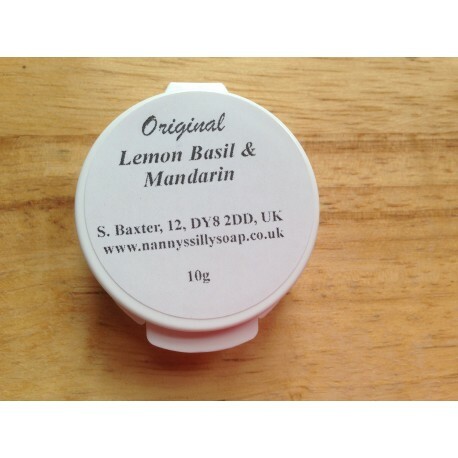 This is a sample size, ideal for you to see if you like the scent before committing to buying a jar. 10g - Comes in a small white plastic pot.